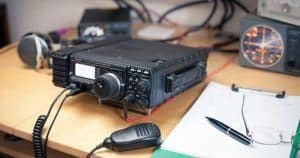 Whether you're a new ham radio operator or have been at it for years, finding the best ham radio transceiver isn't always easy. Because there are so many to choose from these days, we've compiled a list of a few of our favorites to help you get started in your search. Our list isn't exhaustive, simply because there are too many great transceivers out there. The products we chose each have key features that we think are important to help you get the most out of your ham radio experience. ​The Kenwood​ TS-480HX packs a lot of features into such a small, portable rig. Though it's compact, it carries a 200-watt output and comes with a DC 13.8-volt power supply, which makes it great for DXing or base station use. The TS-480HX digital ham radio transceiver covers all of the amateur bands, so you won't ever be limited by your transceiver's capabilities. In fact, we've been told that some operators say that people receive their calls further out than they can even hear. This ​radio also comes with a separate LCD control panel that allows you to fine-tune filter combinations for the best possible performance. There's even a quality, built-in speaker that provides crystal clear sound. One of the best things about ​the Kenwood TS-480HX transceiver, aside from its portability and output, is the auto-off feature. This is really useful if you're like us and too busy or distracted to remember to shut down your rig every time. The Yaesu FT-450D is another compact rig that is jam-packed with useful features. This is a HF/50MHz radio that also offers 400MHz digital signal processing, or DSP. The Yaesu FT-450D provides continuous, 100-watt output across all ham frequency bands plus the 6-meter band. We especially like that this model can be powered by any 13.8V DC power supply because it makes keeping backup power supplies so easy. This Yaesu radio is designed to be suitable for desktop or portable applications. It weighs only 8.8 pounds, and it can be easily mounted with a bracket accessory to be used for mobile operations. The Icom IC-718 is the largest of the three radios we've picked out, but it is still small enough to be functional without being cumbersome. 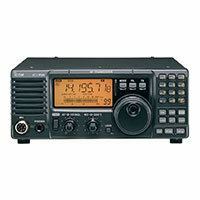 This all band ham radio transceiver has several features that make it a practical investment. First, it has a large, front-mounted speaker that provides incredibly clear audio. We like this feature because having a speaker that's directly facing the operator means there's less fumbling around when you're trying to capture audio sounds. The hardware inside the Icom IC-718 is noteworthy as well. It has a built-in double conversion system that enhances signal fidelity and a special PLL circuit that gives you better C/N ratio characteristics. This ham radio transceiver also has special controls that allow you to reject interference, compress audio input to increase talk power and attenuate RF gain. Ultimately, all of these ham radios have features that make them worth their respective price tags. Choosing the best ham radio transceiver is going to come down to what is most important to you and how you'll be using it most often. We can't make the decision for you, but we can help you narrow down the field. In the guide below, we took several of the most common deciding factors and gave you our picks for each as a starting point. Your best option is going to be the Yaesu model. The FT-450D tends to have a slightly higher price point than the Icom IC-718, but it still runs in the $700-750 range, which isn't bad for a brand-new radio. There are a few things worth mentioning about the FT-450D, however. The first is that you'll almost certainly need an external tuner if you want the best performance. There's an internal tuner, but we hear lots of reports of operators who say it's best to have an external tuner as well, especially if you're a regular user. Then the Kenwood TS-480 is a good place to start. This one is typically on the upper end of the entry-level price scale, usually in the $1,000-1,200 range. Out of all three radios in this roundup, the Kenwood TS-480 is generally the most popular for operators who prefer to sit back and listen. The receiver's audio is easy on the ears, and we love the amount of volume control as well. This radio is also the best choice by far in terms of power. The extra wattage of the TS-480 is usually the difference between having trouble receiving transmissions nearby and being able to hear clear across the ocean. We don't really have much that's negative to say about ​the Kenwood TS-480​ other than that it won't be the easiest to operate for brand-new users. You won't be able to start talking right out of the box, but if you can manage the initial learning curve, you'll be glad you went with this radio. The Icom IC-718 is a pretty good choice. It's a very no-frills, compact rig that is good for those who are newly licensed or just wanting to get their feet wet without too much investment. The radio is very portable and has enough features to make it stand out from other rigs in the $600-700 price range, but it has a few drawbacks as well. We've heard quite a few reports of how harsh the audio can be, which makes it difficult for a lot of people to spend more than half an hour listening. We can verify that the audio does become tiring much faster compared to the other radios listed here, but it isn't unbearable. Another issue is the volume control. It can be tricky to find the sweet spot for audio because the controls don't leave a lot of room for precise tuning. One final thing we think is worth mentioning is the noise control. The noise blanker does a poor job of adding clarity, and we've found that no matter how much we fine-tune, there's still a lot of hash coming over the airwaves. For us, there's only one clear choice for the best ham radio transceiver, and that's the Kenwood TS-480HX. While it has the highest price tag of the three radios, we think that the few hundred extra you spend upfront will pay for itself pretty quickly. The TS-480 is the most powerful rig, and it gives the best, most consistent performance. Whether you're a novice or a veteran, we think you'll love this radio as much as we do. In general, your first radio won't be your last, but this Kenwood is the type of rig that can be used for years down the road, even if you invest a fancier setup later.